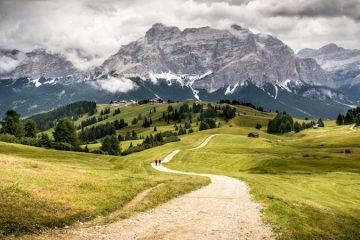 Thinking of heading to Europe this year? 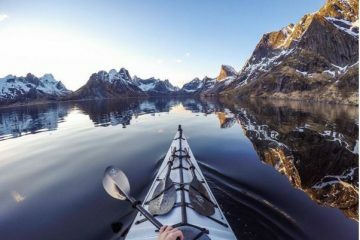 Camping is a great way to connect to the beauty of this stunning continent and there is no shortage of absolutely breathtaking places to choose from. 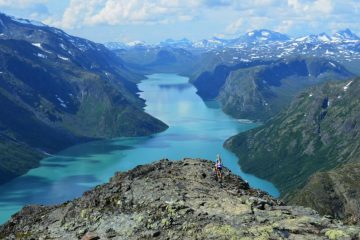 The rolling green mountains of Austria, the deliciously blue fjords of Norway, the snow-kissed peaks of Switzerland – these are just some of the wonders that could be one zip away on the canvas of your tent. 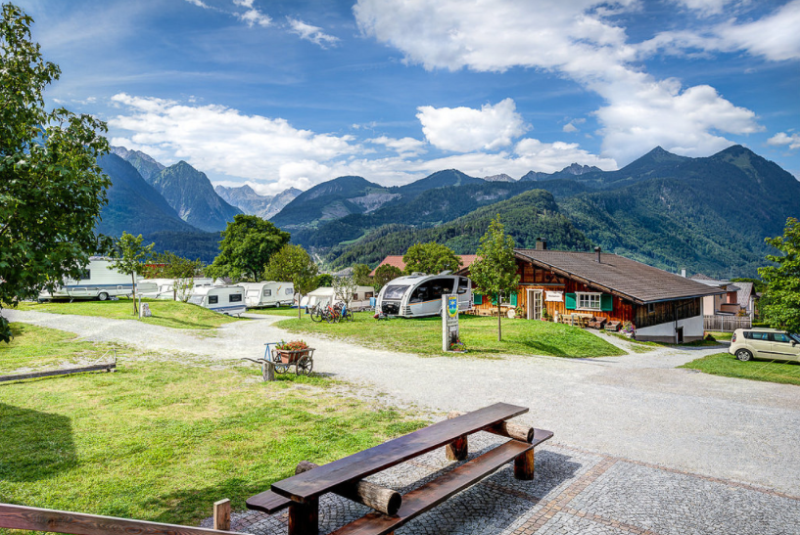 The kind of scenery that will have you smiling from ear to ear – Panorama Camping Sonnenberg is set in Vorarlberg in Austria, and offers panoramic views right from the comfort of your tent pitch. 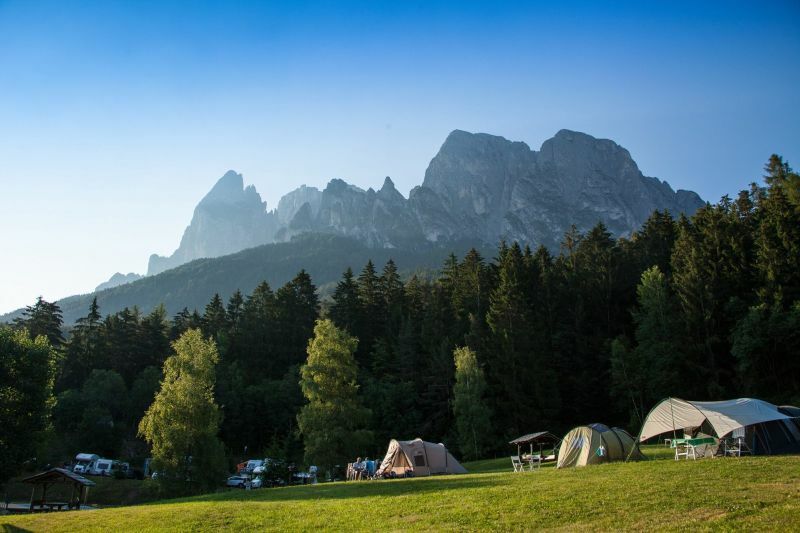 It’s located at the foot of the Muttersberg, is exceptionally sunny in the summer and is a peaceful campsite that sits at 3,000m high, giving you some of the most exceptional views in the area. Take a deep breath, fill your lungs with the fresh and fragrant forest air, and absorb yourself in the finery that surrounds you. 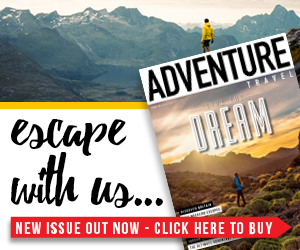 This alpine campsite is set in the heart of the Val Ferret in Switzerland and offers campers an impressive mountain landscape to admire. 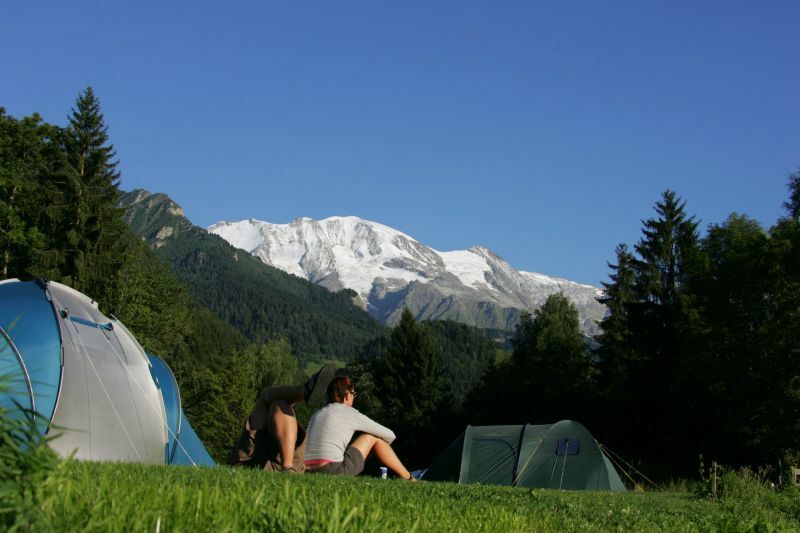 Camping des Glaciers is a tranquil place and there are many hiking paths that start right at the campsite. 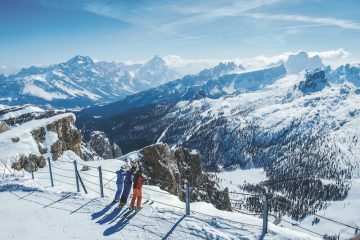 Belittled by the staggering peaks of the Dolomites in South Tyrol, Camping Seriser Alm is a campsite of outstanding natural beauty. 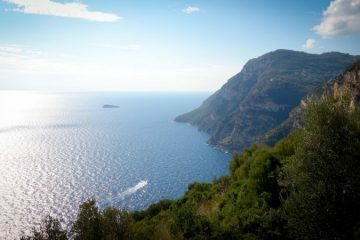 The peaceful sound of birdsong is paired by the warmth of the gentle morning sun when you wake from your slumber here, and it’s the perfect place for hikers as there are countless opportunities to do so in the area. 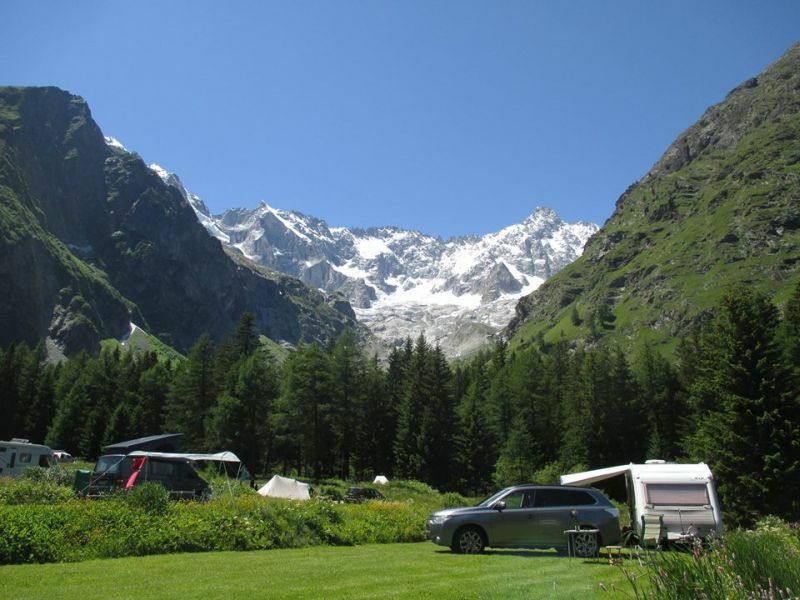 There are not many campsites out there that offer you a front-row view of the impressive mountain Mont Blanc, but Camping les Dômes de Miage in the Haute-Savoie region of France does. Elevated 900m high, this campsite boasts sensational views wherever you pitch your tent, and you can count on nothing but a good night’s sleep at this peaceful and wonderful site. Set within the picturesque valley of Olden in Norway, Oldevatn Camping is a charming campsite that offers you unparalleled Norwegian mountain scenery, along with views of the silky smooth, rich blue waters of the fjords. The wildlife is beautiful, the area is tranquil – what more could you ask from a place to rest your head? 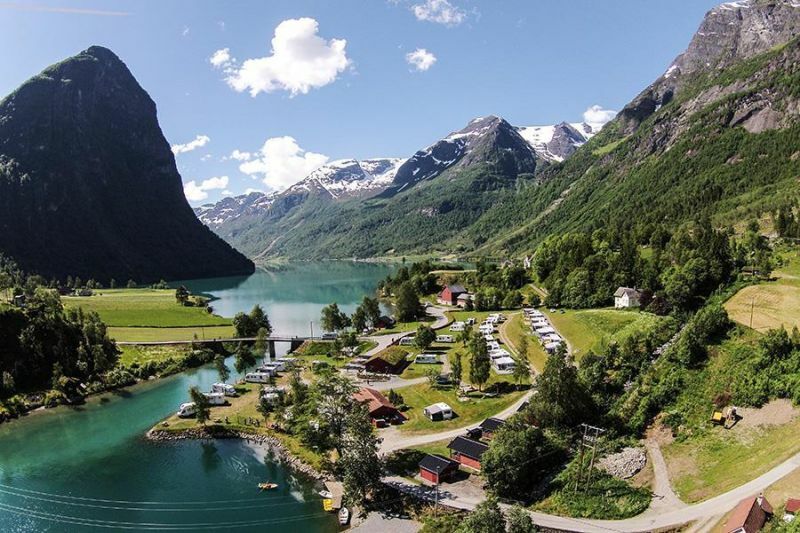 Want to stay at one of these campsites in Europe? 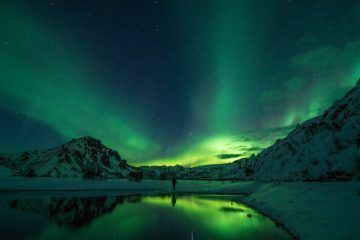 If you’d love to check out any of the incredible campsites above, you’ll need a tent that you can rely on. The Vaude Hogan SUL two person tent is fantastic option as it’s super lightweight, is quick and easy to pitch, and offers stability in high winds should you get caught in unfortunate bad weather. Not only this, but the Hogan SUL tent has been constructed using eco-friendly manufacturing, so you can rest easy in the knowledge that this tent features sustainable materials and has been manufactured under fair working conditions – it gets the green tick from us! To find out more about the Hogan SUL two person tent or to check out the full range, head over to the Vaude website.